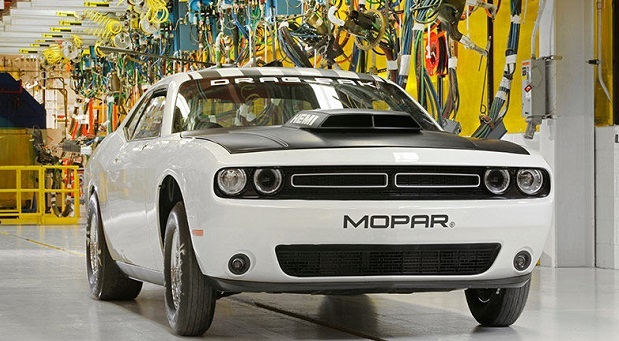 As a boon to drag race fans everywhere, Mopar announced the latest Drag Pak for the Dodge Challenger last week. Offering two options to Sportsman class racers–an unprecedented Supercharged 5.8-liter/354-c.u. 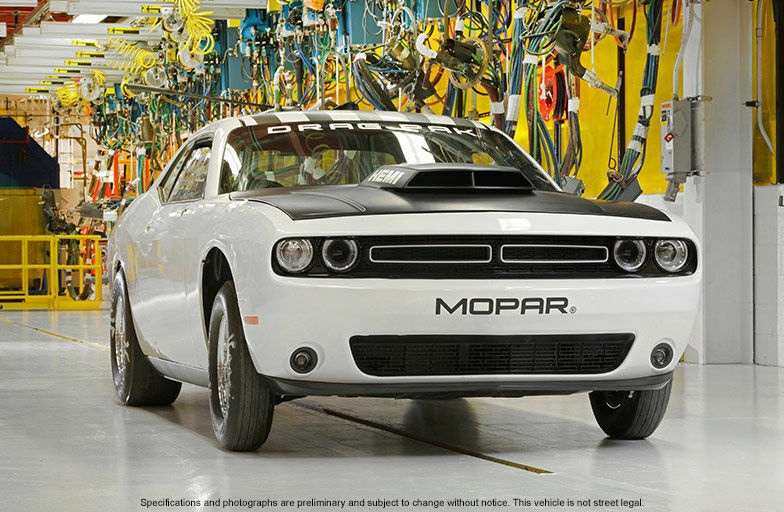 race-prepped Gen III HEMI®mated to a 3-speed transmission with a Hurst shifter or a naturally aspirated 426-c.u. 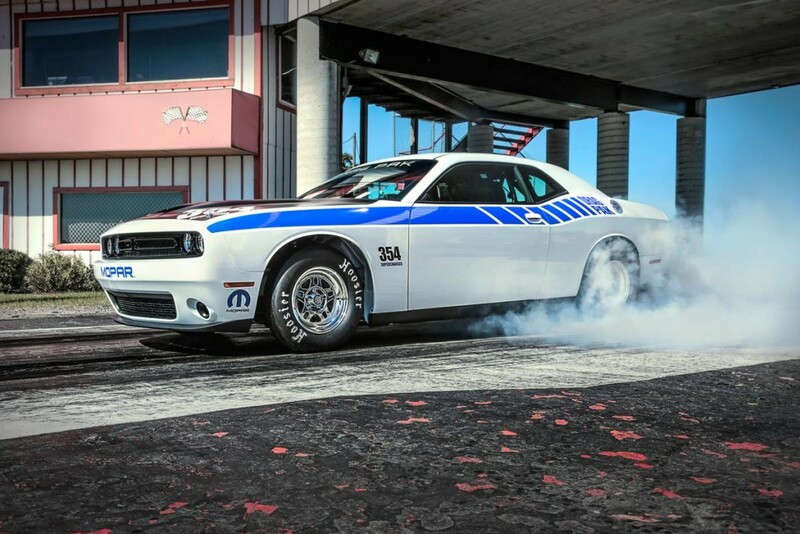 all-aluminum race-prepped Gen III HEMI® mated to a 3-speed transmission with a Hurst shifter –these track-only options celebrate MOPAR’s drag racing history while embracing modern technology. Mopar is calling the Supercharged option the “first blown package car,” claiming a consistent 8 second run, and a 0-150 mph in 1320 feet. The 354 is also a nostalgic nod to Don Garlitts 354 c.u. dragster. The Drag Pak options were refined based on feedback from Sportsman racers and include a race-prepped automatic transmission, a rear axle housing mounting scheme enhanced to let cars launch harder and faster, a re-designed roll cage, lightweight seats and a hinged hood that can be lifted with one hand. Blue and black liveries also differentiate the packages (blue for supercharged, black for NA), but both can run at NHRA sanctioned events. Although not on the street. Make sure you’ve got your trailer ready to go. Pricing for the NA 426 version of the starts at $99,426, while the supercharged 354-ci model starts at $109,354. The video below, courtesy of the folks at MotorAuthority.com, gives a little glimpse at the power (and let’s say unpredictability and not driver error, just to be kind) and torque of the new drag pak. Thumbs up to MOPAR for the Drag Pak. Next step? Trade the two set ups to the Charger for two of its doors.